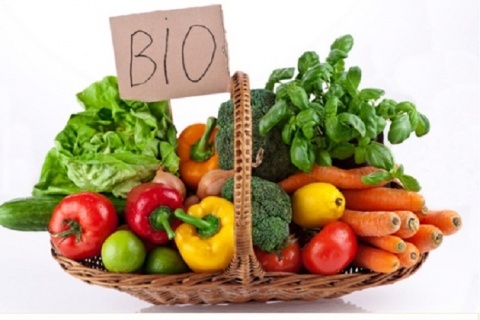 Organic food appears to be gaining in popularity among Bulgarians - traders have described the steady rise in clients going for organic products as one of the trends in food industry this year. Bulgarians are developing a taste for organic food with consumption marking a 25% increase per year. More than 500 companies distribute and sell premium quality organic food products from a network of farmers and producers, as well as imports. The data was announced by Bulgaria's Organic Trade Association at a conference on the development of organic food market in the country. Only 0.5% of the arable land in Bulgaria is used for organic farming, which places the country last in the EU by production and consumption of organic products, according to data by the Bulgarian Industrial Association (BIA). Experts attribute the low consumption of organic foods in Bulgaria to their high prices, adding that they were 60-85% more expensive than conventional products. Organic farming is trying to give Bulgaria's agriculture sector's glorious past a new lease of life, but without the state and EU support, it can hardly turn into a sustainable business. Magdalena Maleeva, one of Bulgaria's greatest ever tennis players, was among the first to champion organic farming after founding Bio Bulgaria in September 2006. The company's best selling products include yoghurt and eggs as well as Balkan specialities such as sirene (a white, feta-like cheese), kashkaval (yellow cheese), ayran (a yoghurt drink) and boza (very much an acquired taste: a fermented cereal-based drink resembling a thick milkshake).